Rick Simpson Birding: Wader Quest, garden, lack of birding and grandson's first birthday. Wader Quest, garden, lack of birding and grandson's first birthday. It is less than 2 weeks until the epic Wader Quest starts, can't wait actually, truth be known. the problem is there is so much still to organise. 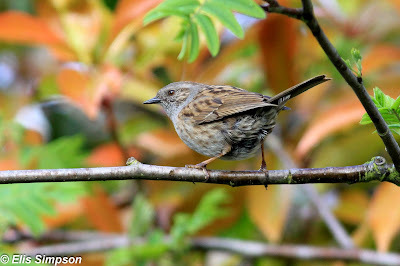 I have spent a week convalescing after a hernia operation, no driving allowed; however I will now be able to get out and about again, so hopefully we'll get to do a bit of birding and leave the organising behind for a day or at least a morning! As the garden list is so pathetic, we need to do something to improve it. So the plan is to make it more bird friendly in the hope of encouraging more birds to stop by. The list did stumble up to a magnificent 16 yesterday with a Dunnock on the fence, but even he dropped down the other side! Other recent additions were a fly-over Buzzard and a calling Chaffinch. 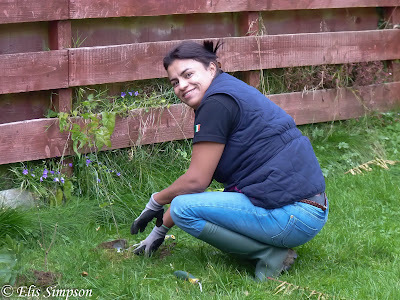 So something needed to be done and a planting session took place. Me supervising (just how long can I stretch out this hernia thing?) and Elis doing all the elbow grease as usual. We planted a few hawthorns, an elderberry and a wild rose in the hope of building a mini hedge along the side of the garden. OK, it'll take time, but it'll be fun to work up the list and know that it is because of what we are doing that these birds are there. We have proved that few bird visit the garden automatically, and now we have to create a bird garden from scratch. 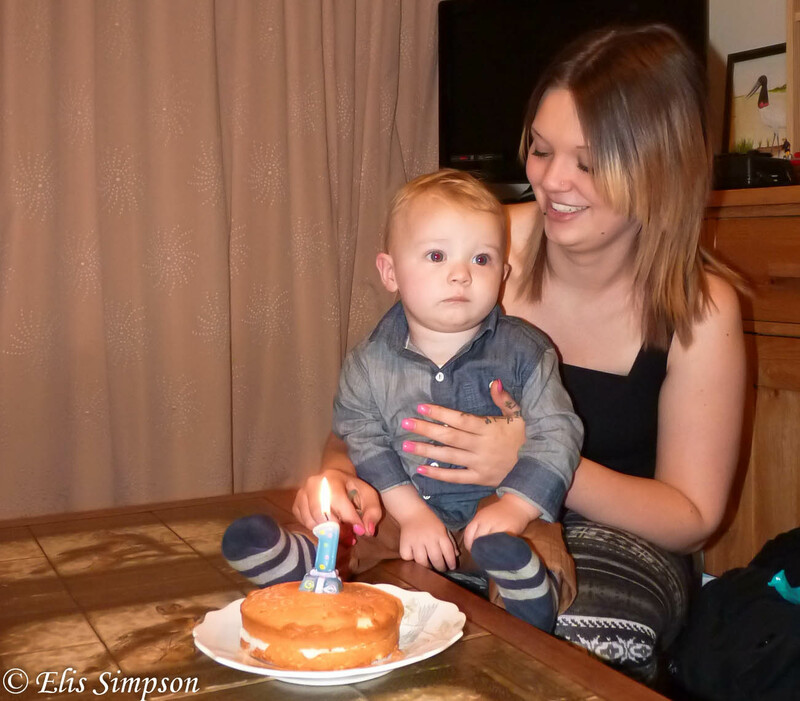 Last weekend we had the pleasure of being visited by the next-big-thing-in-birding, my grandson Leon, and his not-quite-so-keen-on-birds mother, my daughter Anna; it was Leon's birthday. At the same time we had my parents over and thus had four generations together. get used to it, after you've done it 54 times like I have it'll be a doddle! 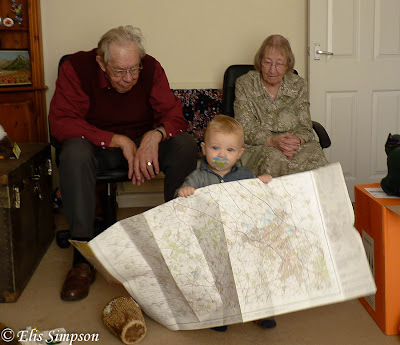 Leon helping great-grandma and great-grand-dad to find their way home again on the map. It was really good to have them all over for the first time to our new home, lets hope it'll be the first of many such occasions. Red-necked Phalarope and Jackdaw in dog fight.